There are so many accessories for HTC handsets available, it can be time consuming trying to find the best for your handset. Well, here's a few to consider. Monaco Anti-Glare Screen Protector: This is one of the best screen protectors I have seen so far. It is high quality and will prevent scratches to your smartphone without loosing the visibility of your screen. 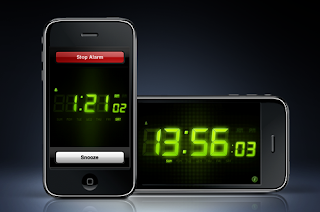 It can be easily removed from your phone without leaving any marks. HTC Hands Free Car Kit: This is a good car kit for any HTC phone. It connects via bluetooth, then transmits hifi audio through your cars FM stereo. The audio quality is very clear and it removes the burden of holding your phone while driving. You can easily adjust the volume control while driving. Talk, Charge and Play. Solar Charger: If you are one of those people who always forget to charge their phones before they leave home, a solar charger is definitely for you. S200 Stereo Headset: You're able to receive and make clear calls with this headset. The quality is great for the price and has the ability to answer/end calls, call holding/swapping, and a volume control . 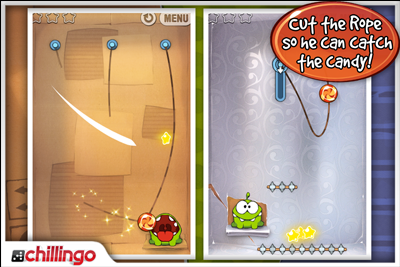 Cut the Rope is a new puzzle game from renowned app developer Chillingo. Cut the Rope features a fun package for the casual player, with its cutesy graphics paired to a clever game mechanics and challenging play. To beat it, users must employ a variety of tactics based on physics, logic and the usual quick reflexes, making Cut the Rope a very entertaining diversion for iOS gadget users. 75 levels of play give the game a satisfying replay factor guarantee hours of idle pleasure. The concept of Cut the Rope is somewhat evocative of Gremlins, beginning with a strange carton box which arrives at the player’s doorstep together with a written note asking him or her to feed the small creature within. As it happens, candy is the critter’s favorite, and it is the player’s objective to get those sweets to feed the creature. These are found hanging down from ropes which must be maneuvered to within reach for the player to grab, a task that is easier said than done. Fortunately, a variety of tools are available to help out. It is possible to cut the ropes, use bubbles, blowers and others to get the candy while staying clear of traps containing spiders or electric currents. Care must be taken to deliver the sweets to Om Nom, the critter, as fast as possible to keep him from being sad. Like mentioned before, the heart-tickling animation and richly-colored visuals are the main draw of the game. These, partnered with the skipping beat of the background sound makes for a great game to while away the time. An additional challenge comes in the form of three stars that needs to be collected in each level before the player can progress to the next. The gameplay is non-linear in that previous levels can be replayed. The levels are in the form of different-styled, colorful boxes that present varying degrees of challenge. As with other Chillingo apps, this one has its own free version. The full version, though, is a steal at 99 cents, having the makings of a quality and entertaining pastime that players of all ages will enjoy.